Asus’ Eee PC line has come a long, long way over the past twelve months – too far some would say, arguing that the gigantically strong brand of ultra mobile notebooks has been diluted by a later focus on needless peripherals and incremental upgrades. That’s a view I sympathise with to a degree. I remember when the very first Eee PCs first rolled off the production line and I quickly snapped up a 701 all for myself, though lately it’s been hard to pry it from the white-knuckled claws of my girlfriend. My own fault admittedly, I tried and failed to fix her computer recently. Shortly after the release of the Eee PC 701 though, the market began to be flooded. Eee-alikes appeared like a plague and Asus sought to capitalise on the strength of a brand that had become the flagship of an entirely new laptop form factor. 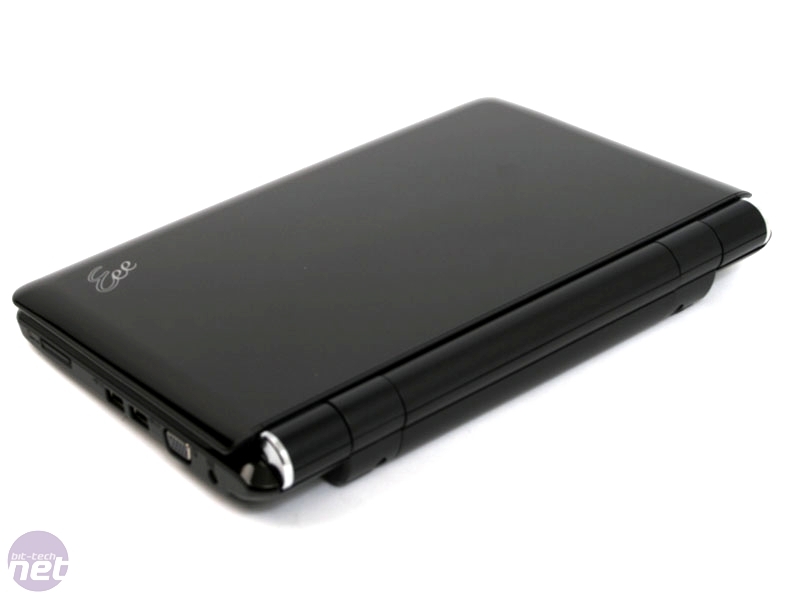 The Eee PC 900 was released, then the 901, 904, 904HD each of them coming with Windows and Linux variations in multiple colours and with more options and extras than you could shake a fistful of sub-notebooks at. There were Atom and non-Atom CPU options and all this without mentioning the assorted peripherals like the Eee PC writing pad or Wii-alike motion controller. Of course, the first thing to clear up is whether or not the model we’re looking at is or is not an Eee PC 1000. Believe it or not, that actually caused a fair bit of confusion even in the bit-tech offices. Could it be that this is a 1000H or 1000HD instead? No, it’s just an Eee PC 1000, but it is easy to get confused since the different models are so closely named and the products themselves only slightly different from each other. 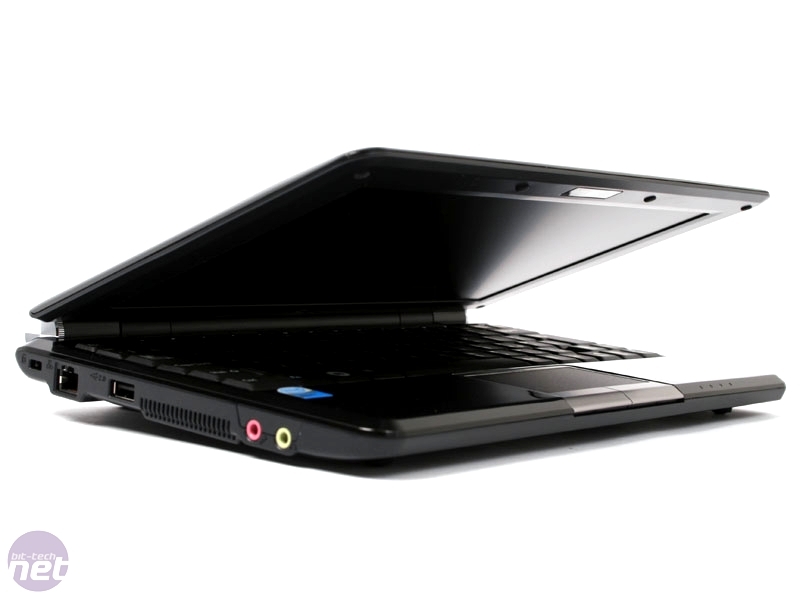 To help clarify, let’s break down the differences between the three basic models in the Eee PC 1000 line. 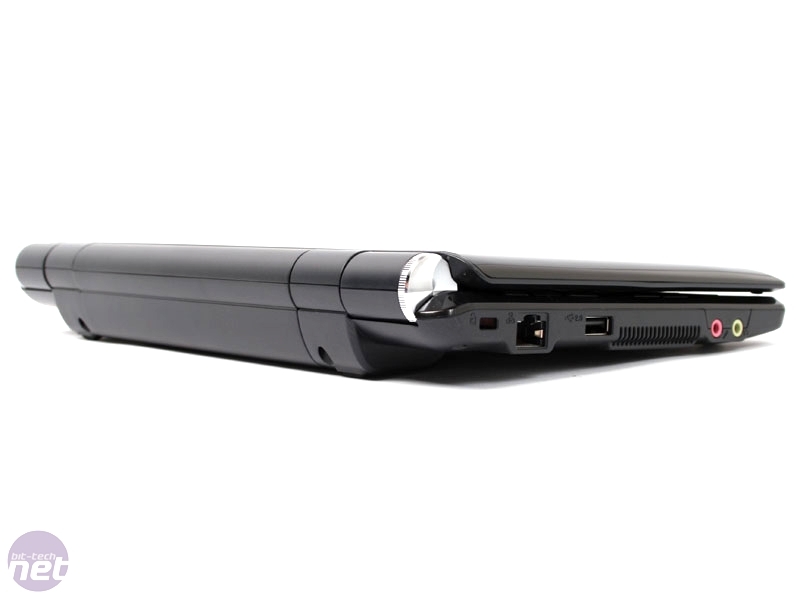 First, there’s the Eee PC 1000HD. Like the rest of the Eee PC 1000 line it has a 10” screen and measures in at roughly 260x190x40mm (WxDxH). It also comes with either Windows XP Home or a copy of the Xandros Linux distro, just like all the others. Where it gets different is in the system specs – the 1000HD has an 80GB hard drive and runs a Celeron M353 off a six cell battery. The hard drive provides extra capacity over other models, but also results in more weight, noise and heat. It also comes with up to 2GB of DDR2 RAM if you want. Next up is the Eee PC 1000H, which has the same chassis and specs with a few exceptions. Memory-wise you’re limited to just 1GB of DDR2, which is a bit of downer, but the upshot is that the CPU is better. The 1000H model has an Intel Atom N270 inside and the fact that it’s less power intensive means that the same six-cell battery will last you for a few hours more – up to seven hours. The 1000H model still has an old-fashioned hard drive however, again with 80GB capacity, and the XP version comes with support for Dolby Sound Room software. Richard tells me that’s important, but my hunch is that if you’re watching a film or playing a game on a 10” screen and using headphones then whether or not you have surround sound isn’t likely to be a big issue. Oh, and you can have the 1000H and 1000 in a whole host of colours – the 1000HD is limited to just black and white. Finally, we come to the Eee PC 1000. Don’t be fooled by the lack of letters on the end though, in terms of system specs we reckon this is the best of the lot. It’s 10” and measures the same, but packs Bluetooth next to the WiFi and still has the advantage of an Atom N270, much like the 1000H. The key difference though is with the storage capacity. Bad news? You’ve only got 40GB to play with, not 80GB. Good news? That 40GB is in the form of a solid state drive (SSD), not a hard drive. SSDs require a little less power as well as making less noise and heat, so Asus reckons you’ll be able to squeeze an extra hour out of the battery.